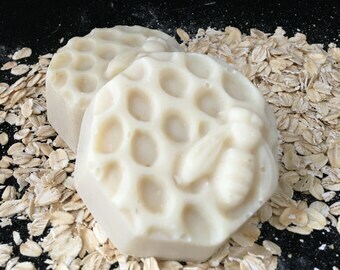 Our honey oatmeal citrus soap is a must to shower with! We have now substituted Rice Bran oil for Canola oil in our recipe. We have also chosen to support women in a small Ghana village by purchasing ONLY from them. They are producing a beautiful nourishing 100 % organic, raw, unrefined Shea Butter. Their company is called Fair Tale Ghana and you will see their logo on all of our products now that have Shea Butter in them. This bar soap is approximately 3" x 2" x 1" and weighs approximately 4.2 ounces. 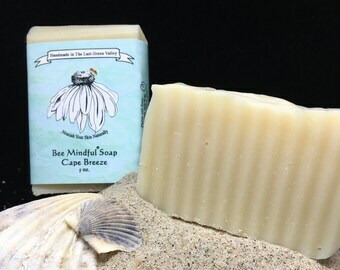 The oils we use in our cold process soaps are: olive, coconut, sunflower and rice bran. 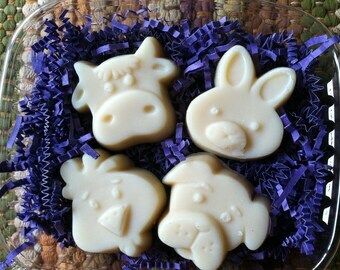 We also use only the Fair Tale Ghana organic raw unrefined Shea Butter. 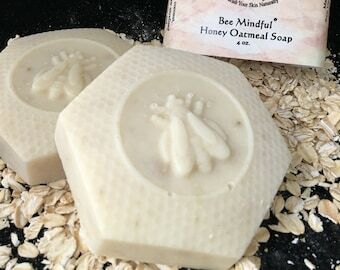 We use our own honey and ground whole oatmeal as well , in these soaps. 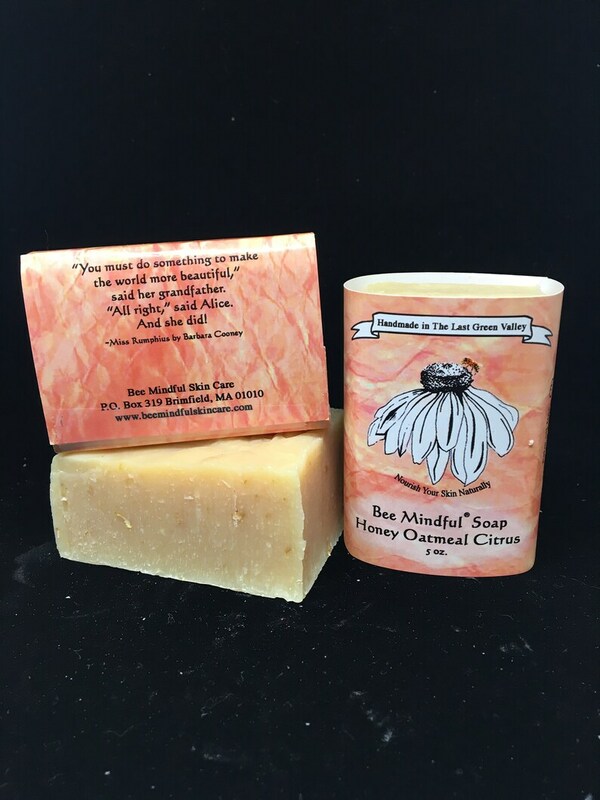 You will love the orange and lemongrass smells in the shower and after, on your skin!